©2019 World Food Championships. All rights reserved. Pat Bearry, former Maryland policeman, opened his famous Shubee Shack restaurant in 2009 as an homage to simple and classic beach cuisine. Although public service was extremely rewarding to Bearry, his true passion has always been cooking for others. It's that love that drew him out of service and into making classic sammies. Since opening his doors the Shubee Shack was won award after award for their epic sandwiches. Bearry's huge personality and lovable demeanor make him the perfect ambassador for food and fun. 2013 World Open Chili Champion Ray Bogart burst on to the competition chili scene at age 53 after being encouraged to enter a local chili competition at a casino in Oregon, which resulted in three category wins. A quick decision to then join the International Chili Society was soon followed by his first sanctioned contest where he was served his head on a platter, garnished with comments on exactly how not to cook competition chili. But this was only the beginning for Bogart. Bogart is a strong-willed competitor who welcomes his critiques almost as much as a $10,000 prize check. Now with eight years of experience under the chili stove and having competed in over 200 competitions from coast-to-coast, Bogart seems to have found the sweet spot of turning his "lessons learned" in to jackpot money. Bogart is the Lead Engineer at the Hacienda Hotel and Casino in Boulder City, Nev.
As a self-taught artist and home cook, every day is a creative endeavor for Suzanne Clark. Her unique style shines through in everything she does as she puts her creative spin on everything she touches. Suzanne currently appears on local television shows in the Phoenix area as a Lifestyle Expert, and serves as a brand ambassador and blogger for a national brand. 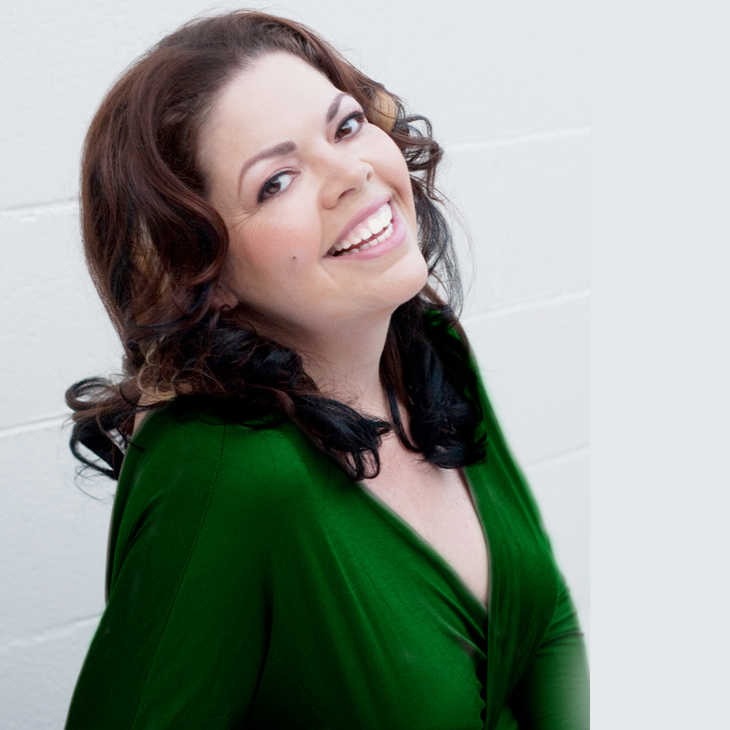 Additionally, Suzanne has assisted in recipe and concept development, as well as advertising campaigns and promotions. 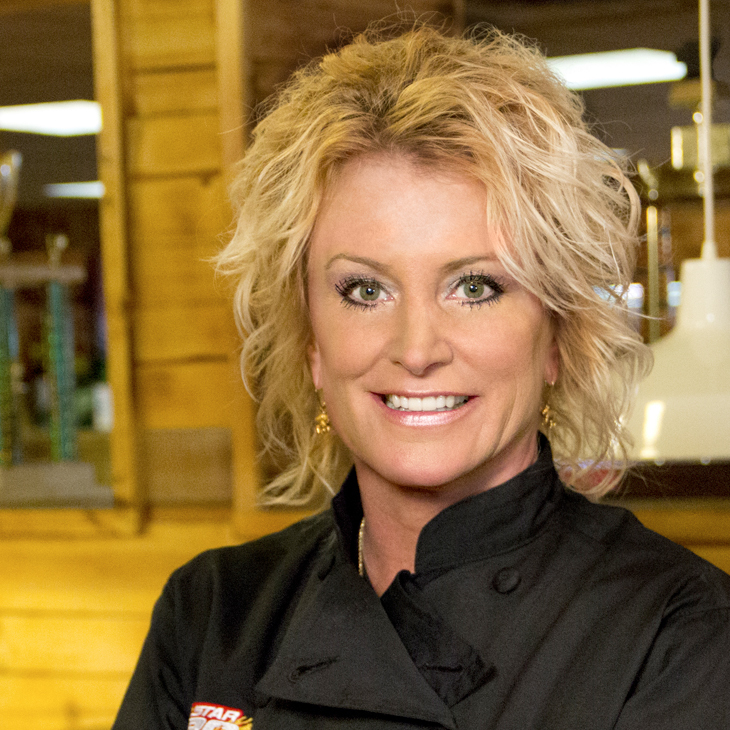 As a competitor, Suzanne has competed and won many national contests and awards for her cooking skills and recipe development throughout the years. In her free time, Suzanne shares her passion for cooking by teaching classes to both adults and children, and performing cooking demonstrations at food events. Every competition playing field comes equipped with its own obstacles, advantages and disadvantages. It takes a skilled competitor to quickly be able to assess and successfully conquer its many variables. Jennifer Daskevich, the 2013 World Sandwich Champion, is just that type of a competitor. Whether it's a high stakes live-competition or an online recipe contest filled with top rated cooks, Daskevich's overall success lies largely in her ability to quickly assess the field before making her first move. Having competed in over 30 contests now, securing either a first place overall win or a top placing call in approximately 20 of those competitions, she's proven to be a consistent competitor with a solid technique. 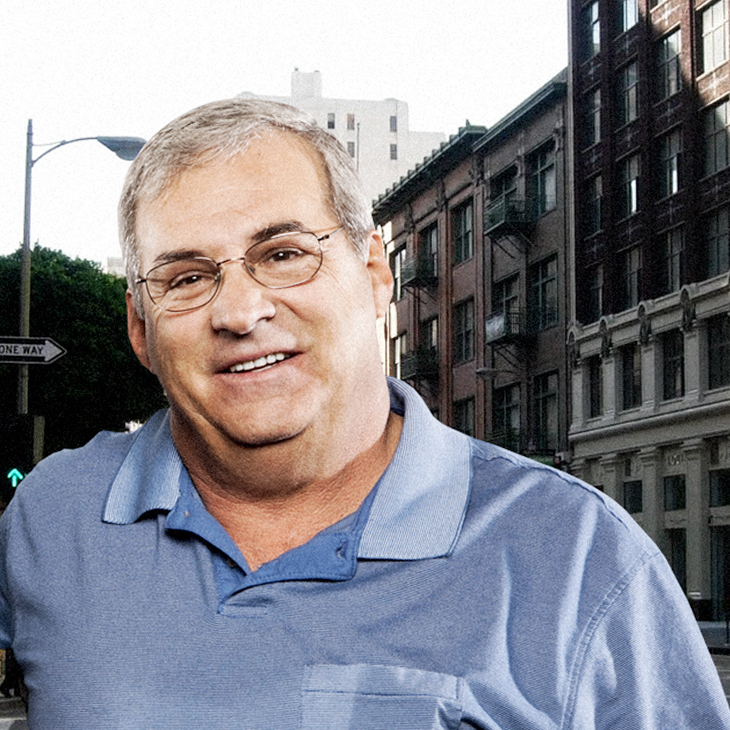 Daskevich is a front of house restaurant consultant, lawyer and bartender and resides in Los Angeles. As one of the most successful competitors on the planet, Mike Davis has been tearing across the country winning BBQ competitions since 1999. Competing along with his wife Debbie as "Lotta Bull BBQ," Davis has racked up over 85 Grand Championships on the professional circuit. Davis is not only known for his championship wins but also for his training "university" for aspiring competition BBQ teams. In all Davis has won over 1250 awards and recognitions. 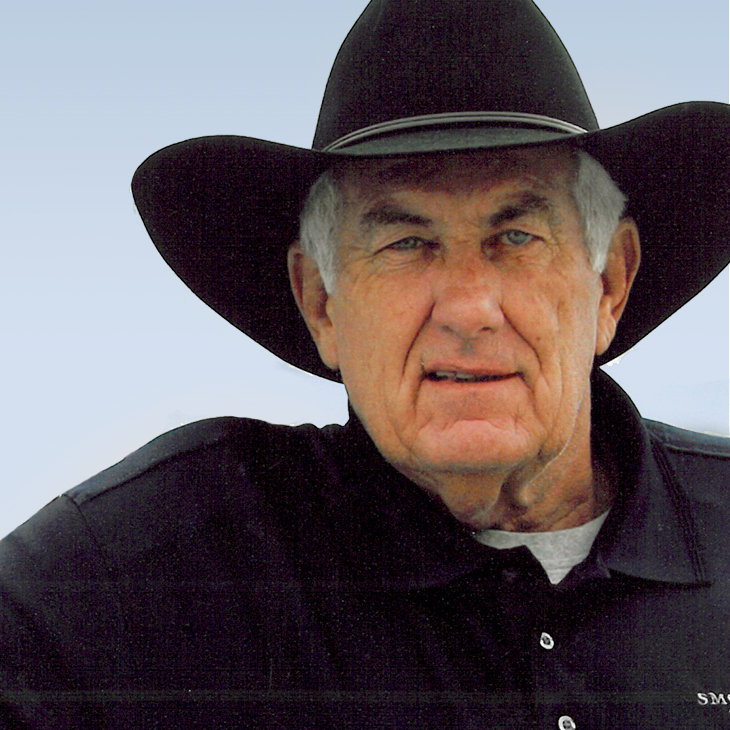 Lotta Bull was named KCBS Team of the Year in 2006 when he won 11 Grand and 11 Reserve Grand Championships. Since then, Davis has continued his championship ways winning world-class competitions like the American Royal and the Stagecoach Music Festival BBQ Cookoff. 2013 World Food Grand Champion Dave Elliott was a mild-mannered data analyst during the week who became a fierce food sport competitor on the weekend. Competing in the professional BBQ circuit under the name Porky McBeef and the Cluckers, Elliot began to win, and his victories — like twice earning the title of Kansas State Barbecue Champion — eventually took him to Las Vegas where he won the 2013 World Food Championships, leaving with a $50,000 grand prize and a title no one can take away. A resident of Olathe, Kan., Elliott works as the Business Insights Manager for a local sales and marketing agency, but becoming the WFC Grand Champion has brought new opportunities. He's been a Brand Ambassador for Cargill Beef, a Yeti Coolers Insider, a spokesperson for Tyson Foods and was featured in promotional videos for Kenmore and Cookmore.com. He continues to compete regularly in a wide variety of food competitions, including those sanctioned by Kansas City Barbecue Society of which he is a member. He's been interviewed by culinary magazines, appeared as a culinary guest on television and radio shows and is often tapped for demonstrations and classes. In addition to cooking, he's a trained food competition judge, owns an event catering company and consults with restaurants in menu development, safe food handling and food sanitation. He's recently launched his new line of products, PMB Barbecue Champion's Choice Rub, which is available at his new online store, www.pmbbarbecueco.com. 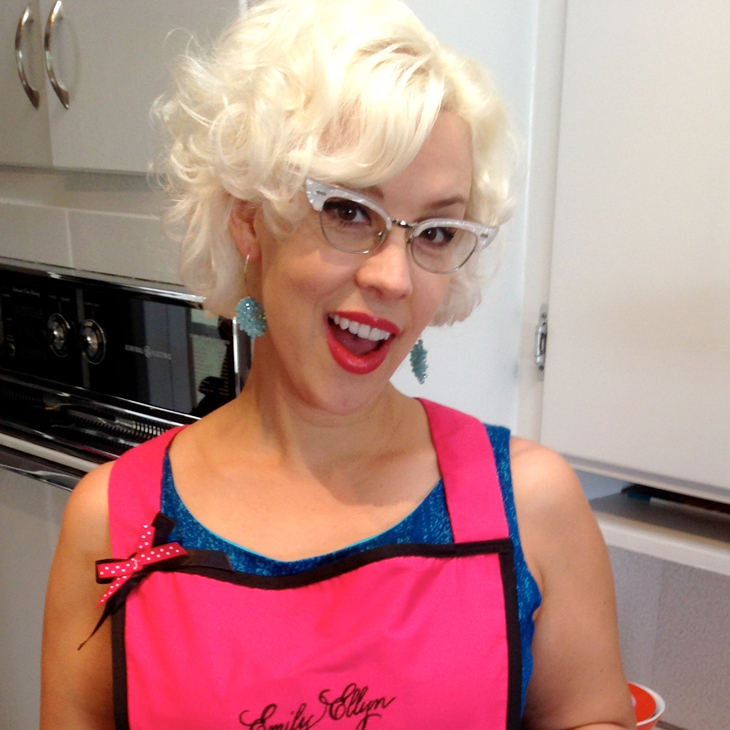 Chef and culinary educator Emily Ellyn is the Home Economics teacher you've always wanted! She single handedly started the Retro Rad cooking movement and encourages everyone to dig through their mother's recipe box, dust off their pressure cookers and crock pots, and take the old and make it new. She takes the retro, remixes it, and makes it RAD. With her quirky persona and trademark cat-eye glasses, you'll find Emily cooking at food events around the world, lecturing or hosting special events, and doing brand consulting - all while developing her Retro Rad culinary TV career and finishing her Ph.D. in Food Service Education. Through it all, she's gained a loyal cult following. You've seen her on Food Network's "Food Network Star," "Cupcake Wars" and morning news shows across the country - as well as a cameo cartoon appearance on the "Simpsons!" Chef Wade Fortin has never met a culinary challenge he couldn't handle. An accomplished chef with a love for competition BBQ, Fortin took his grilling skills to new heights winning a 2013 Bull Burger Battle, presented by Bull Outdoor®, which carried him all the way to the World Food Championships and ultimately the title of World Burger Champion. With over 15 years of food industry experience, Fortin specializes in developed tastes and impeccable technique. Fortin, as an accomplished chef and successful food competitor, combines his culinary acumen with his intense personal drive to achieve great culinary heights. Pitmaster Tim Grant, of TRUEBUD BBQ, has been breaking records at a fast pace earning a reputation as one of the hottest competitors on the championship BBQ circuit. From what started as a backyard hobby, Tim has grown his culinary craftsmanship and his competition team into an artform that has no comparison. Tim Grant's personality and award-winning barbecue landed him as a featured competitor on the hit Destination America show, BBQ Pitmasters. 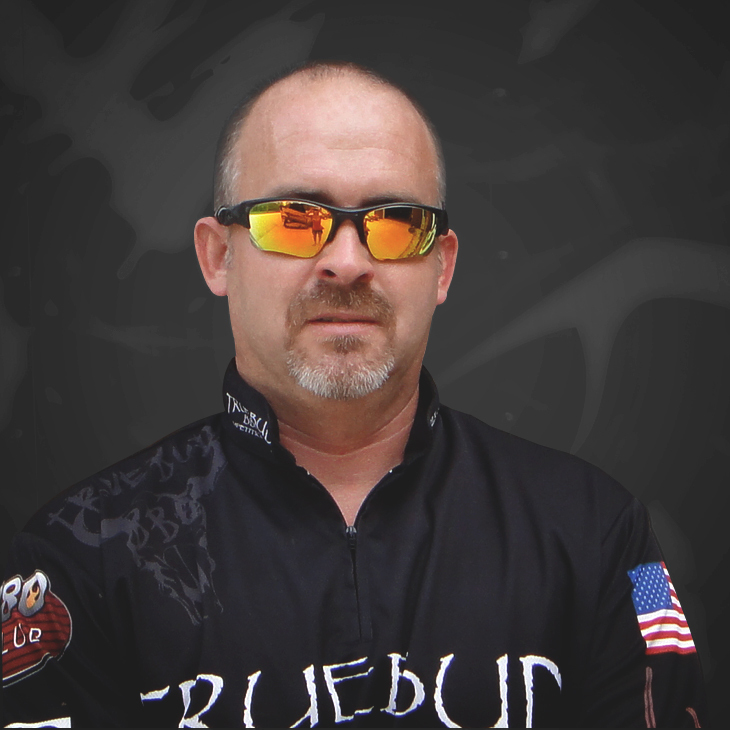 In 2013, TRUEBUD BBQ broke through as a dominant force to be reckoned with. Grant's team cruised to the National BBQ Team of the Year title, winning a record-setting 16 contests, a feat never done before in BBQ history. From perfect scores to a record-setting run of 6 victories in a row, Tim Grant has established himself as the hottest thing going in the world of barbecue. Feared and revered, his competition entries are only matched by the team's fun and outlandish personalities. In addition to the 2013 National title, TRUEBUD BBQ was also crowned National Champions in the Chicken, Rib and Pork categories. When it comes to the double-whammy of really knowing how to execute great barbecue and being able to demonstrate such a skillset in a fun and engaging manner, Tim Grant is your man. Hailing from Olathe, Kansas, a south suburban gem of Kansas City, Eric has a mad crush on food and he willingly admits it. His love and passion for cooking as well as savoring every bite of food he tastes, has been and will always be the way to his heart. Having no formal culinary training and contemplating on whether or not to enter culinary school, Eric decided to learn the basics of cooking by teaching himself and spending countless hours on the internet. He credits his mother in law, a native from Japan, one of his biggest food mentors. 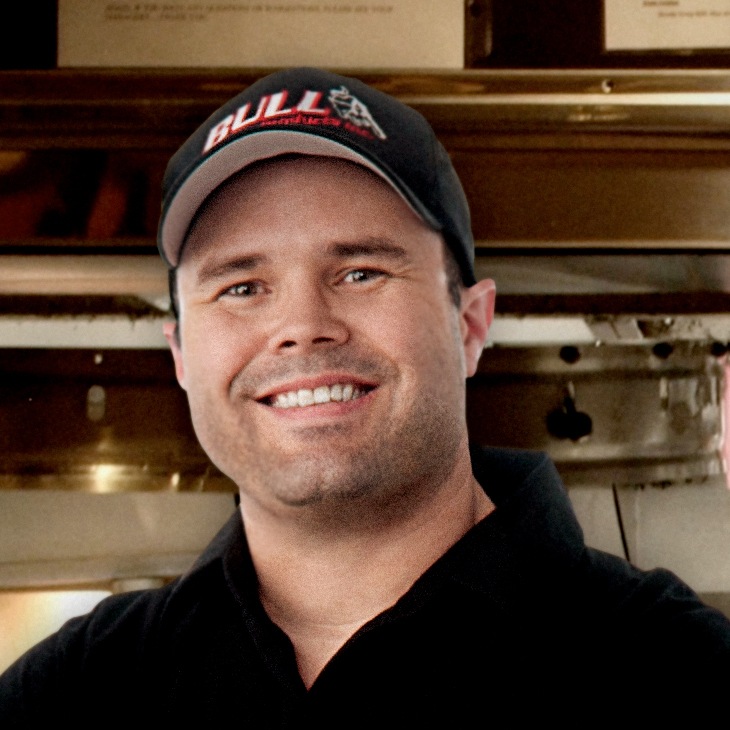 A natural competitor, Eric has competed in several BBQ competitions. With only a couple of years of competition under his belt, Eric has been cooking and grilling for over a decade. He has appeared on the Travel Channel's "American Grilled" show, competed at the 2014 World Food Championships, prepared his signature "Bacon and Egg Ice Cream" for a local TV food segment and competes in online food contests. If there is food involved and a grill within reach, Eric is always ready to bring the heat and take it to the next level. 2014 World Food Champion Chef Ricardo Heredia has been in professional kitchens for more than 15 years leading, creating and driving the trends of the food and beverage industry. He has traveled the world for inspiration to express through his food. 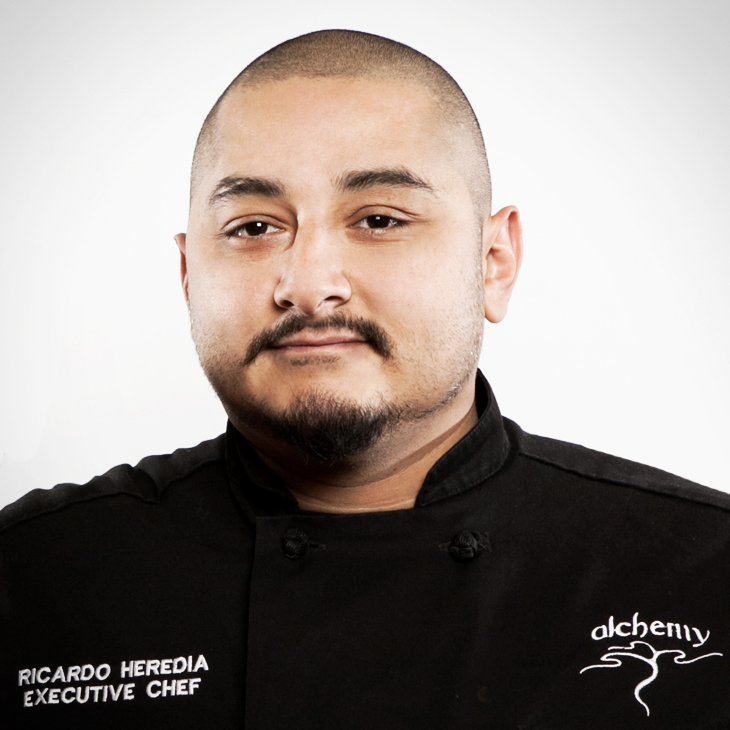 When he entered and won the 2014 WFC, Chef Heredia was the Executive Chef and partner at Alchemy San Diego. Since becoming World Food Champion, Chef Heredia created Kitchen Mafioso, a consulting and educational company dedicated to giving back to the community. He's committed to volunteer efforts like the Scratch Education Program, an initiative to inspire elementary and middle school kids through culinary education. He's consulted with prestigious companies like Kings Hawaiian Bread Co. and Wright Brand Bacon to develop new recipes and consults with restaurants in menu development, culinary education and efficiency improvement. He has focused on Global Cuisine for the past 15 years and recently returned to embrace his culinary roots, traveling and working extensively in Mexico including Mexico City, Baja California, Tijuana, San Luis Potosi and Oaxaca. Chef Heredia is an active and serious food sport competitor. He is the reigning Avocado Madness Champion for 2015 and says his goal is to win WFC two consecutive years. 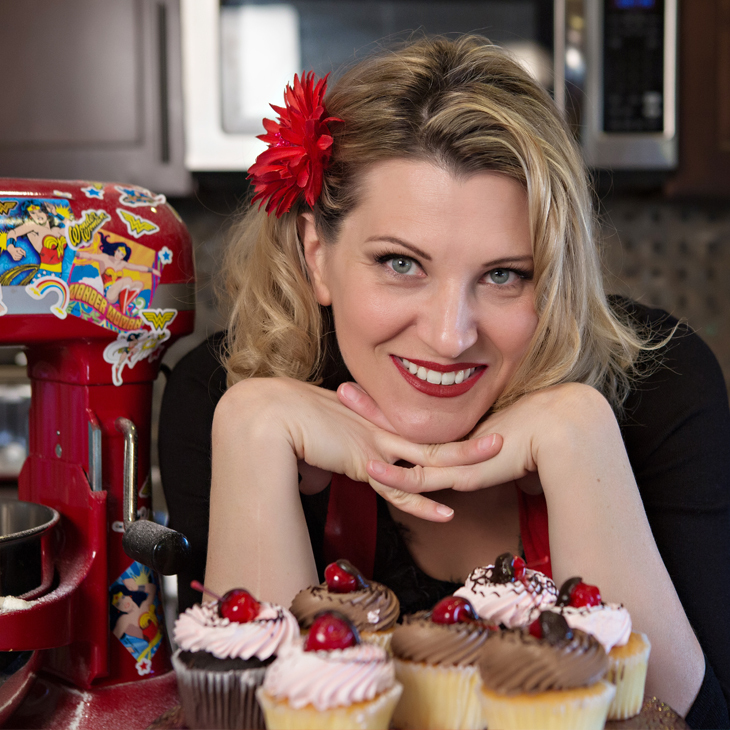 Raised in a food family, Heather Manley began her life-long obsession with food and culinary creation at an early age. Raised by foodie parents who passed on their passion for all things cuisine, Heather developed a taste for the irreverent that pairs perfectly with her dynamic personality. Via endless hours of cooking and grilling, Heather discovered that her hand-crafted seasonings were receiving rave reviews. Her success laid the groundwork to incorporate in 2011 and create "Heather's Dirty Goodness," a meat rub and seasonings line. An accomplished professional, both in and out of the kitchen, Heather also owns a spirits line and is an accomplished cocktail connoisseur. Nancy offers the better prospective of two worlds as a long time excellent home cook, who after retiring from the Space Shuttle Program returned to school, earning a Culinary Arts Certification. She went PRO with this encore career change and is one of those die hard success stories because she never accepts NO for an answer and she can reinvent herself when life’s little hiccups create an obstacle! She has been competing in recipe contests for several years where she has won many, placed in a lot and expanded her circle of foodie friends. When she is competing you should GET READY to battle to the last round and plate, because of her ability to think quickly, adapt, and create while she displays her high energy! Nancy is an excellent host, product demonstrator and spokeswoman. Chef Manlove's professional culinary career began in 2011. She has a lot of competitive cook experience running from on-line contest to televised contest. She is known for her leadership and fundraising abilities; and those skills are a true assets she draws upon as a creative cook that comes with a lot of business competencies, high energy, a deep passion and a can do attitude! She currently handles private chef, cooking demos, culinary event planning, menu planning, recipe development, kitchen set-ups, food stylist and food photography clients. She will debut on the Food Network Early Fall 2015, as she enters the reality television cooking arena! Plan on seeing her quickness, passion and focus in motion and then expect to see more of her! World Food Championships CEO Mike McCloud is a visionary marketing entrepreneur focused on making Food Sport a long-term, fun-filled legacy for the culinary industry. A self-described champion of Food Sport, McCloud is frequently selected to speak about the origin and future of Food Sport and how the movement is whetting the appetite of foodies from all walks of life. 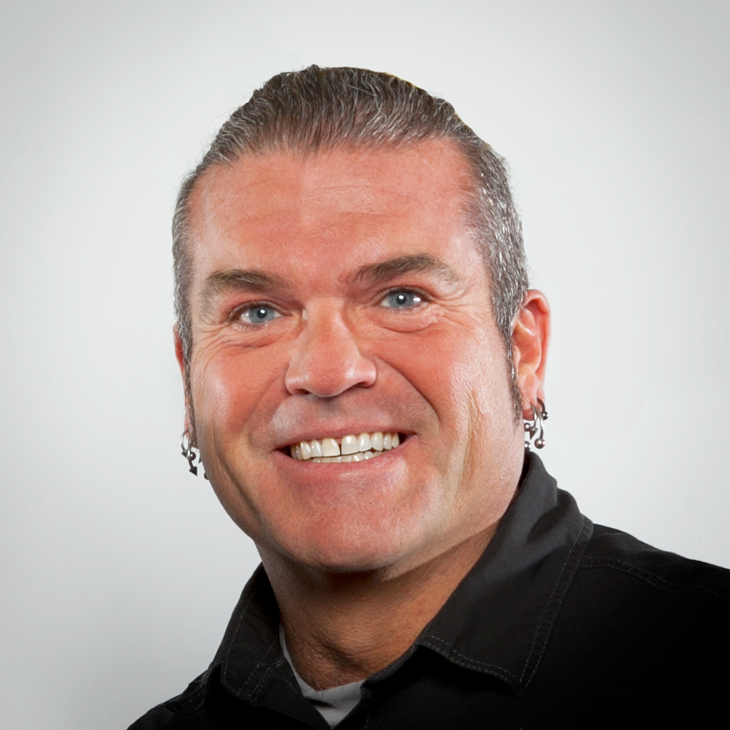 McCloud has been advising, strategizing, marketing and building companies for more than two decades. His major accomplishments include acquiring two competitive firms along the way, building a full-service ad agency with offices in four cities, publishing a regional business journal and creating and funding new ventures like the World Food Championships and a Food Champ talent management group. 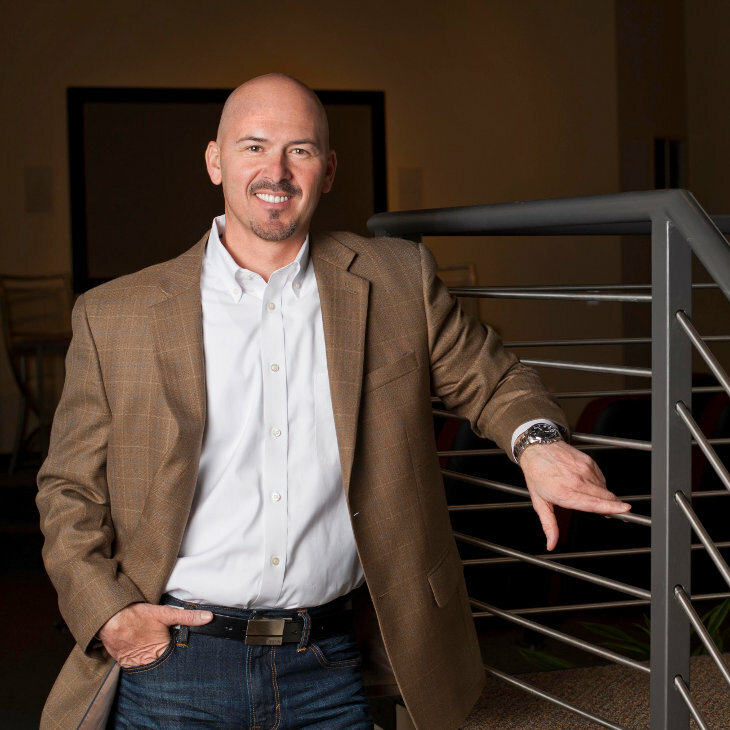 He has earned dozens of awards as the lead strategist for active food marketing with clients like the Kansas City Barbeque Society (KCBS), Sam's Club, Bull Outdoor Products, Tyson, Smithfield and Kraft Foods. McCloud's independent marketing firm, MMA Creative, served as the Agency of Record for KCBS for over a decade, helping build the nonprofit society into a world-wide leading brand in the barbecue industry. MMA has also developed new brands and initiatives like the Great American BBQ Tour, The Sam's Club National BBQ Tour, The American Grillmaster Tour and Cookoff Before Kickoff, a rivalry-based football tailgate program for Coca-Cola, AT&T, Heinz and Kingsford. MMA Creative has harnessed these relationships to help market, sanction or activate more than 1,200 competitions, food fights, retail events and expos for some of the world's largest food brands. 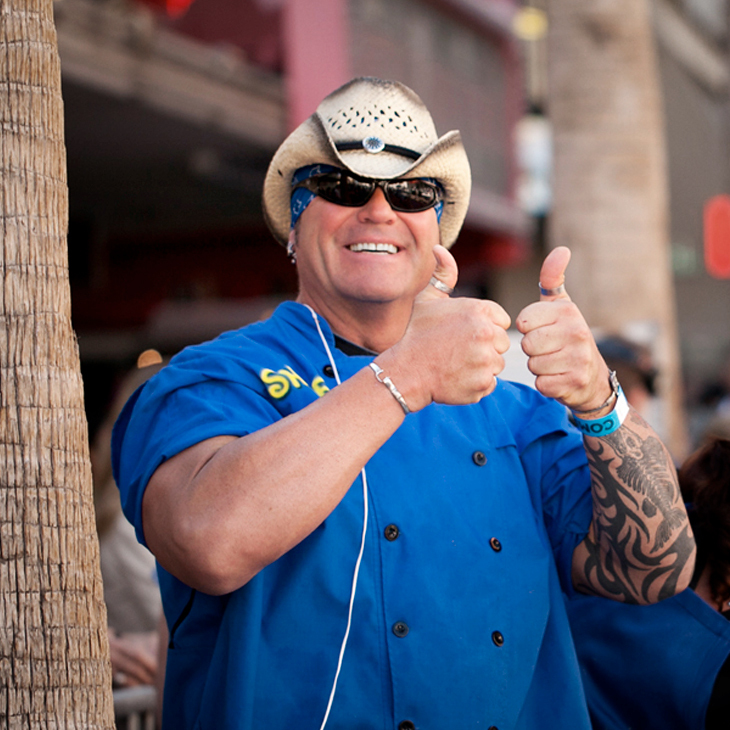 Leveraging his corporate marketing assets, in 2012 McCloud partnered with Las Vegas venues and culinary celebrities to produce the largest competition in food sport history - World Food Championships. More than 300 culinary champions from trained chefs and notable athletes to professional pit masters and award-winning home cooks gathered in Las Vegas to compete in a seven-category championship main event for thousands in prize money and bragging rights as the inaugural World Food Champion. The event grew by 30 percent in 2013 and was filmed for a six-part reality show that aired spring 2014 on A&E's FYI Channel. WFC's 2014 competition was an extravaganza celebrating the spirit of competition and the love of food culminating in a $100,000 grand prize for the World Food Champion with an additional $200,000 awarded across nine categories. In 2015, McCloud and his WFC team are moving the championships to family-friendly Kissimmee, Fla., and expanding the event to include food adventures for spectators as well as judges and competitors. Inspired by the hospitality of her 97 year-old great-grandmother and creativity of her mother, Whitney Miller's passion for the art of cooking began at an early age. At age 22, she won the show "Masterchef," gaining the title of Fox's 1st U. S. Masterchef. Soon afterward, Whitney obtained her degree, with an emphasis in nutrition, from The University of Southern Mississippi. Whitney has performed cooking demonstrations and exhibitions with notables like Guy Fieri, Curtis Stone and Michelin Star chef Giorgio Locatelli. As the youngest contestant and winner of Fox's first America's Masterchef, Whitney continues to inspire children, youth, and young adults, through cooking demonstrations and speaking events at public and private schools, culinary classes and colleges, and children's museum events across the United States. In her free time, Whitney regularly participates in charitable work for organizations/events such as the American Heart Association, the Myasthenia Gravis Foundation, and the Mississippi Muscular Sclerosis Society, the United Way and the Tebow Foundation. Whitney is the author of the cookbook Modern Hospitality: Simple Recipes with Southern Charm (Rodale), with foreword by Gordon Ramsay, and is currently working on her second cookbook. There are a number of words that could describe Jason Stucki: firefighter, traveler, explorer, passionate, chef. Jason's diverse approach to life mirrors his passion for culinary; seek and succeed. 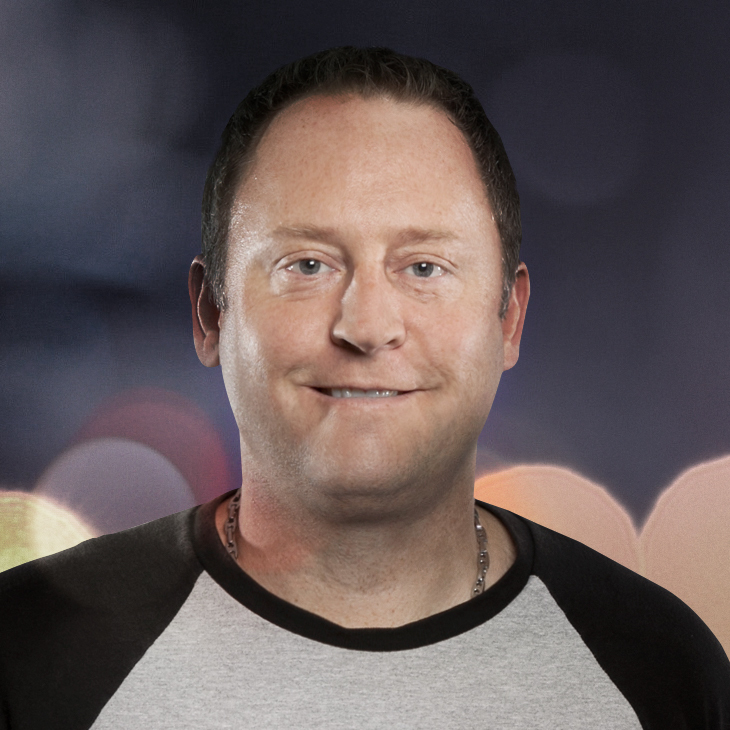 Growing up working in family-owned restaurants, Jason developed a passion for food at an early age. His desire to learn ranges from pizzailolo school to learning traditional French cuisine in Paris, and that doesn't even include personal culinary journeys to destinations across Europe, Central America and southeastern Asia. Jason appreciates real food and the quality ingredients it takes to make great food. 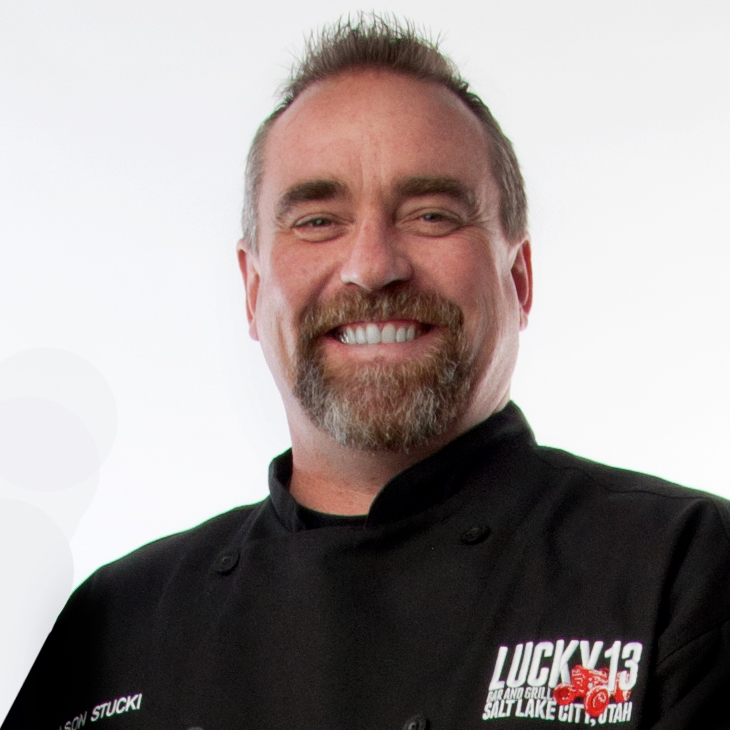 This is what led him to decide to open his restaurant, Lucky 13. Boasting Salt Lake City's best burger, Jason's personal mantra is that "burgers are the ultimate American comfort food." Award-winning, diverse and engaging, Jason Stucki can be found travelling the globe looking for the next great taste. Jodi Taffel, a.k.a. The Bacon Babe, has the unique distinction of having won top honors in every cooking contest she has entered, beginning with the 2010 Grilled Cheese Invitational. 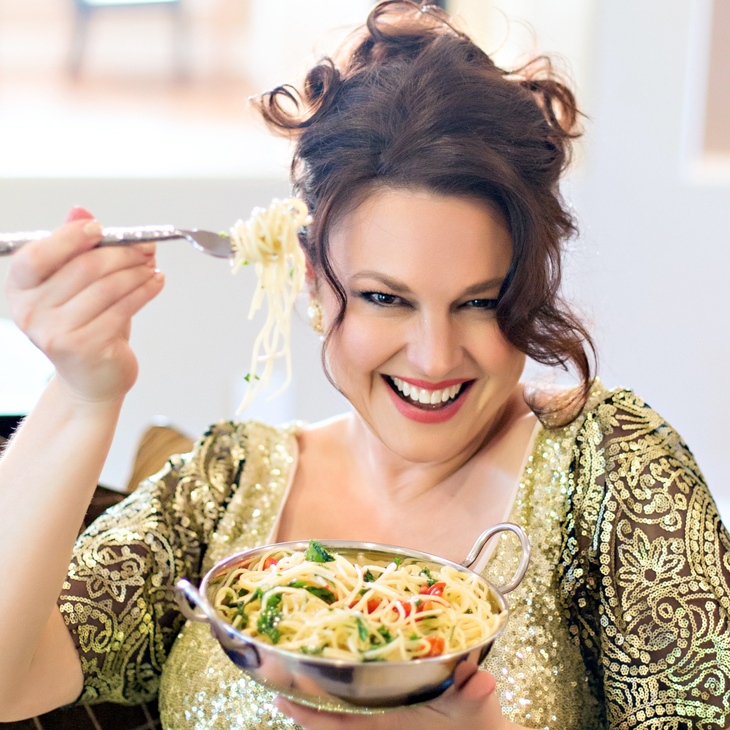 A professional actress for 20+ years, Jodi took 2011 off from cooking contests to concentrate on her numerous television guest appearances, theatre work, and the occasional offer to sing The National Anthem at Los Angeles area sporting events. From winning championships at the Tehan Chili Cook off and the Big Bite Bacon Fest, to return championships at the Grilled Cheese Invitational, Jodi attacks culinary competitions with a drive to win. 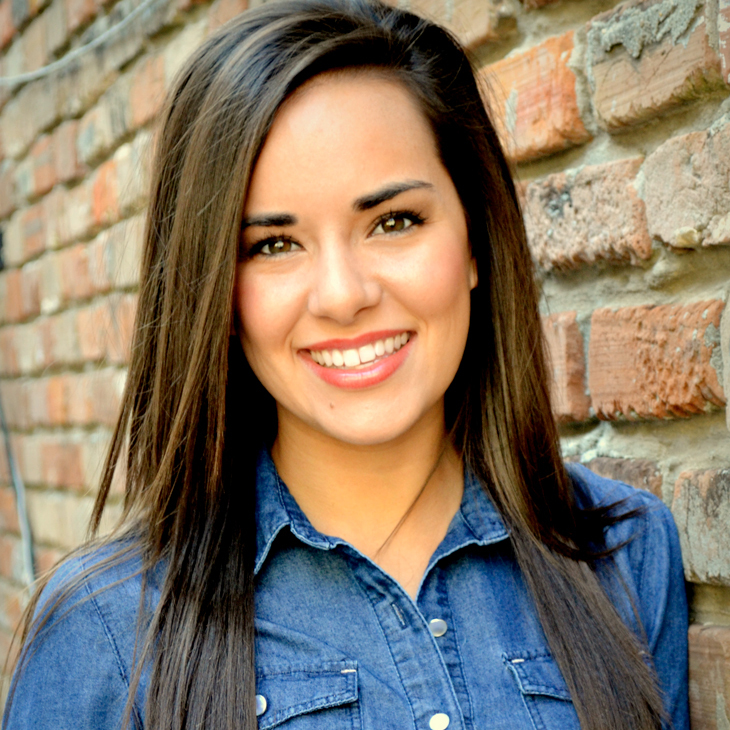 Now as a part-time actress with a full-time personality, Jodi brings a unique perspective to every challenge she meets. Even out of the kitchen, Jodi cultivates a culinary reputation. She has just completed 4 years in a recurring role on the top rated Disney Show, SHAKE IT UP as the beloved "Meatball Lady." With sixty-three Grand Championships and countless category wins to his name, Johnny Trigg, of Smokin' Triggers, has cooked over 600 events during his storied competition BBQ career. With his wife Trish at his side, Johnny began competing in 1990. From his home base in Alvarado, Texas, he has logged hundreds of thousands of miles, competing across the United States and Europe. Johnny will never forget a USO-sponsored mission to Kuwait, where he and five fellow pitmasters fed authentic BBQ to over 5,000 US military troops in Kuwait. 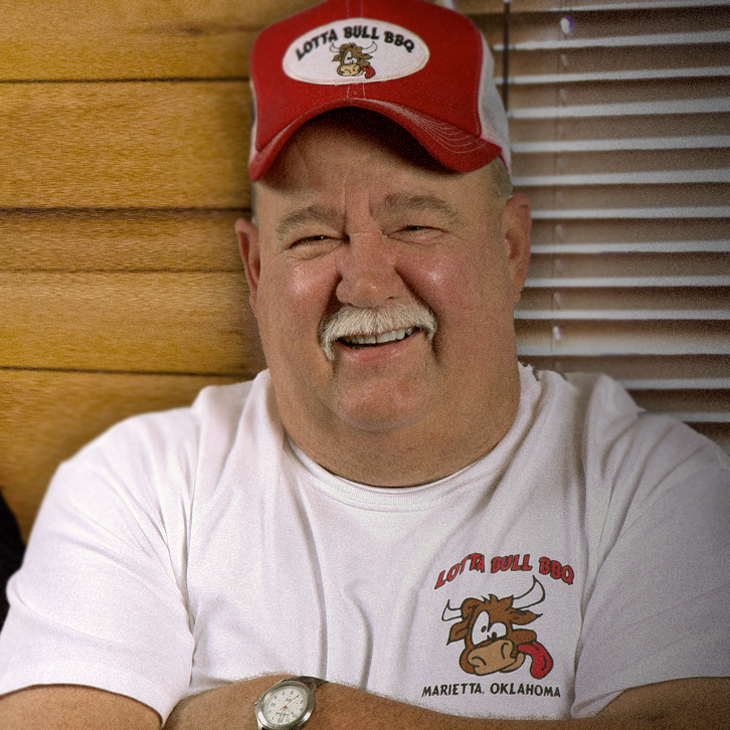 Feared by fellow competitors for his championship pedigree, Johnny remains one of the oldest active competitors in barbecue, and has earned the title of "Living Legend." Featured personality on TLC and Destination America's "BBQ Pitmasters"
As a long-time personal trainer and health advocate, Heather Walker has been writing, broadcasting and speaking about healthy lifestyles for most of her life. But she also has a secret passion...DECADENT DESSERTS! After her son was born in 2010, Heather began to pursue her passion for cooking and food by successfully blogging and competing in local and national food competitions. Her two blogs, "Hoopfinity's Happenings" and "Healthy, Busy, Mom" contain over 300 recipes, attract over 60,000 monthly readers and garner followers in the United States, France, Ukraine, and Canada. Heather has appeared on local San Diego news programs as a healthy cooking expert, and currently blogs for several national PR firms, promoting new and upcoming products. She has also worked as a spokesperson and brand ambassador, focusing on recipe development, live cooking demos and video tutorials. Her care-free sense of humor, approachable personality and simple instruction methods are always sure to retain viewers and entertain crowds. 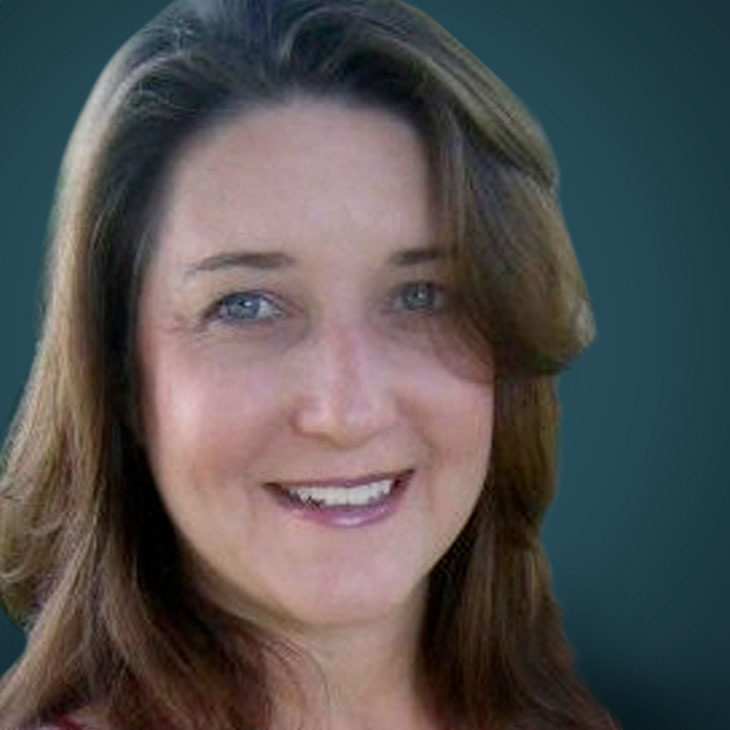 Heather currently lives in Scottsdale, Arizona with her husband and son. She caters dessert tables for parties and events and practices yoga daily. With a great sense of humor, Chef Jernard Wells has been called, "the young Barry White of food." He is an author of an Amazon and Barnes & Noble best-selling cookbook 88 Ways To Her Heart: Cooking For Lovers. The book focuses on cooking demonstrations and helpful tips in the kitchen, as well as terrific ways to start sparks in a new relationship or keep the sparks sizzling for those already in love. His second book, The Weight of Expectations, focuses on the expectations of life and achieving greatness spiritually and through healthy eating. As a featured chef on the Food Network, The Chef of Love will show the world why he is #1 in representing when it comes to food. 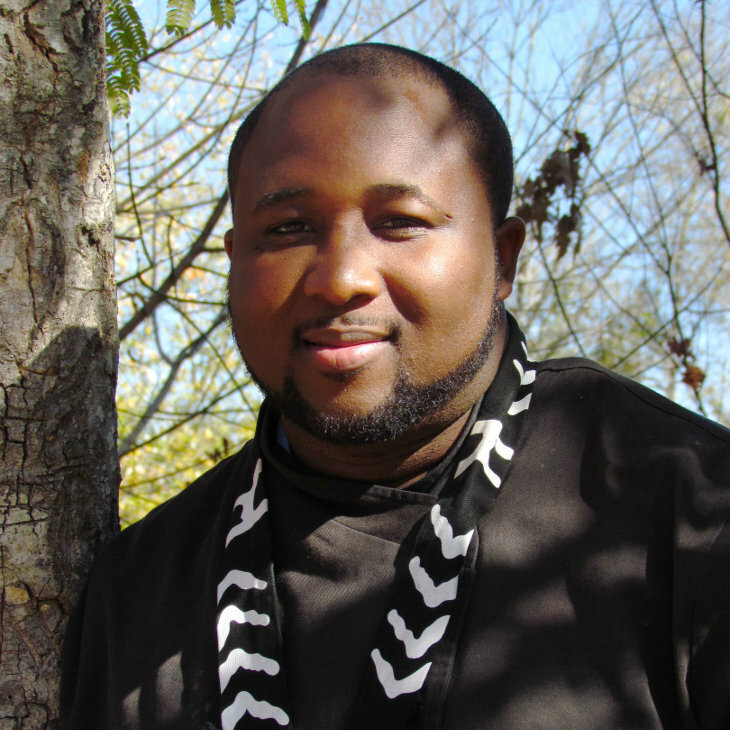 A graduate of Memphis Culinary academy studying French and Asian cuisine, Chef Wells also attended the Art institute of Atlanta. In 2007, Chef Wells, along with Barack Obama, was featured as one of the guest chefs at the 20th anniversary celebration of the venerable Real Men Cook event in Chicago. Wells also cooked on stage with Paula Deen in front of an audience of 15,000 live viewers in Chattanooga, Tenn, in 2009. 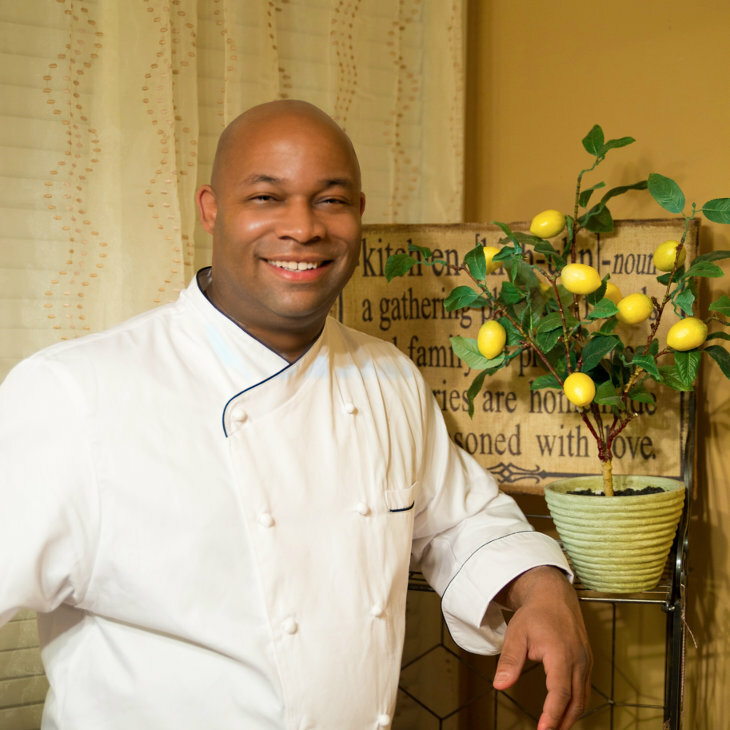 Chef Jernard has a cooking school in Chattanooga, where he teaches couples how to cook healthy and elegant meals with simple ingredients from their pantry while offering the true tips to food and love. With nearly 20 years of experience behind the smoker, Lee Ann Whippen has been immersed in the barbecue culture for her entire life. The time spent on her grandmother's cattle and hog farm, coupled with her father's affinity for barbecue, proves barbecue runs deep in her blood. 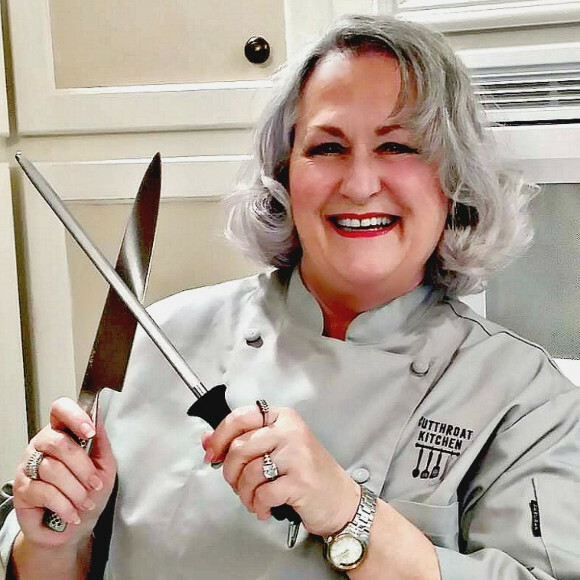 Whippen began cooking competitively with her father, Jim "Trim" Tabb, and after nearly two decades Whippen has done everything from a first place finish at the prestigious American Royal National Championship to becoming a successful restaurateur and BBQ icon. Whippen is a 17-year member of the Kansas City Barbeque Society and a KCBS Certified BBQ Judge. Featured Pitmaster on TLC's "BBQ Pitmasters"
Bested Bobby Flay in BBQ throwdown on the Food Network's "Throwdown with Bobby Flay"
Looking for the world's best competition cooks and culinary champions? You just found them. At Food Champ Talent Management, we connect your brand with amazing personalities who know how to turn up the heat for corporations, customers and consumers. Our diverse and engaging talent pool is the perfect ingredient to spice up any event, engagement or edutainment opportunity. Armed with marketing pizazz and years of experience in both live event activations and consumer demonstrations, Food Champ Talent Management is the one place you'll find a winning recipe every time.